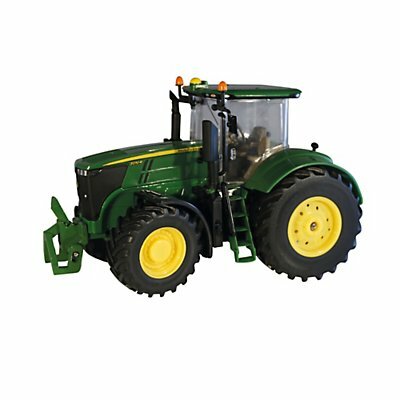 Britains farm toys are known for their high quality toy tractors and farm models that are constructed from detailed diecast metal. 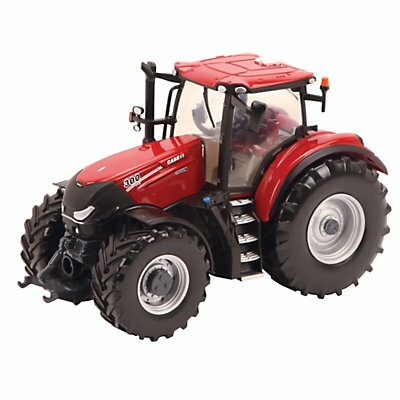 The Britains range offers 1:32 scale farm models including tractors, machinery, farm implements and farmyard animals. Britains manufacture wonderful, amazingly accurate and detailed diecast models of all sorts of vehicles, particularly tractors and trailers including this Britains Case IH Farmlift 7.42 which can be complemented by any of the items in the Britains 1:32 scale range. All Britains models are accurately modelled and finished to give wonderful role play to children and are also great collectors items for the tractor enthusiast. The Britains Case IH Maxxum 110 Tractor is a farmer’s best friend, designed to tuck into the toughest tasks. Superbly detailed, visible hydraulics raise and lower the front loader with the bucket able to tip independently. Big tread tyres and working steering wheel. Made of die cast metal and precision moulded, durable plastic. Suitable for indoor and outdoor play. The Britains Case IH Optum 300 Cvx Tractor includes a detachable driver’s cabin, big tread tyres, superb interior detail, front weight and working steering wheel. The tow hitch is compatible with other 1:32 scale authentic replica die cast implements and machinery. Made of die cast metal and precision moulded, durable plastic. 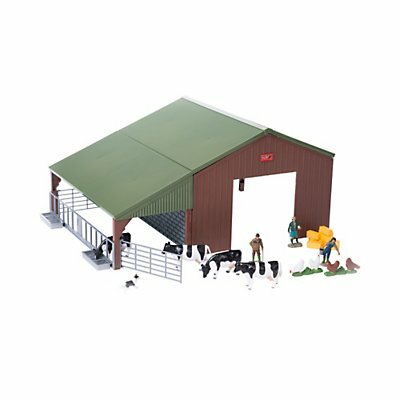 The Britains Cattle Feeder Set is a useful addition to any model farm. Included with the round feeder is a green bale of feed, 4 Friesian cattle, a farmer and dog. 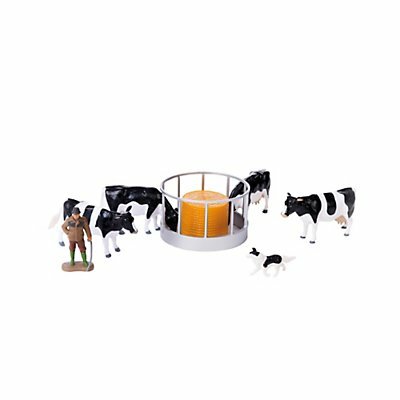 Compatible with all 1:32 scale authentic replica plastic farm vehicles, figures and accessories. Suitable for indoor and outdoor play. The Britains Farm Building Set is the perfect started kit for any young farmer – simply add your tractor of choice for an instant farm! Included is a farm building, 4 Friesian cows, 2 pairs of chickens, a farming family and their trusty farm dog plus a big pile of bales. 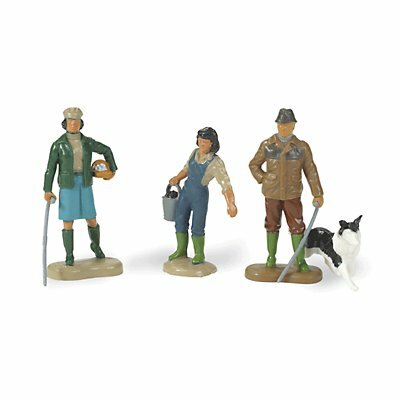 This Britains Farming Family set comprises of a farmer with his stick and sheep dog, his wife who has just collected the eggs and their daughter carrying a bucket. All three are wearing classic green wellington boots an ideal addition to the Britains farm yard. 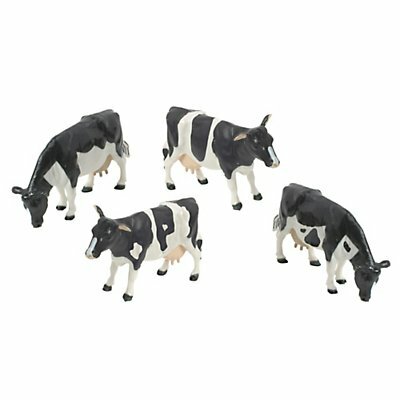 This set of 4 Britains Friesian cows, sometimes known as Holstein-Friesians, will make a great addition to your Britains farm. Set consists of 3 cows and 1 bull. Place them in the field, in the dairy or load them up in the cattle trailer (sold separately). Made of precision moulded, durable plastic. Each figure measures about 85mm long and 50mm high. 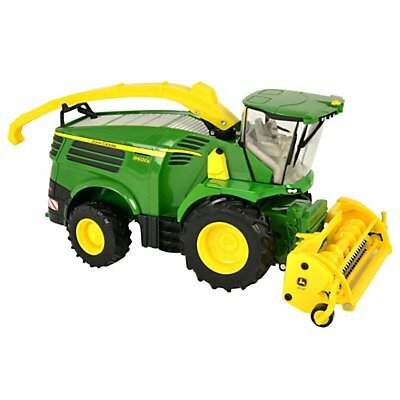 Suitable for novice farmers ages 3 years and up. 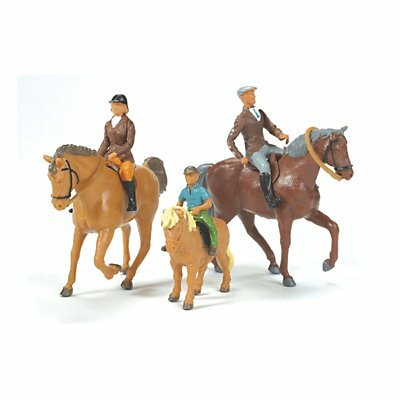 The Britains Horses and Riders set includes two horses and a pony plus their riders. 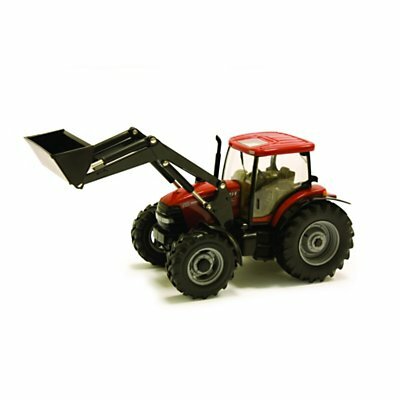 Compatible with all 1:32 scale authentic replica farm vehicles, figures and accessories. Made of precision moulded, durable plastic. Figures range between approximately 45 and 75mm tall. Suitable for novice farmers ages 3 years and up. 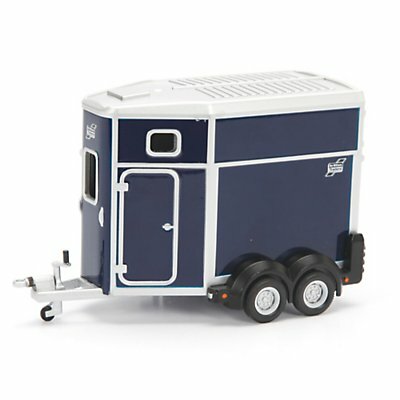 This 1:32 new look Britains Ifor Williams Horse Box is capable of carrying two horses, this model is finished Bala Blue and compatible with all Britains 1:32 vehicles. 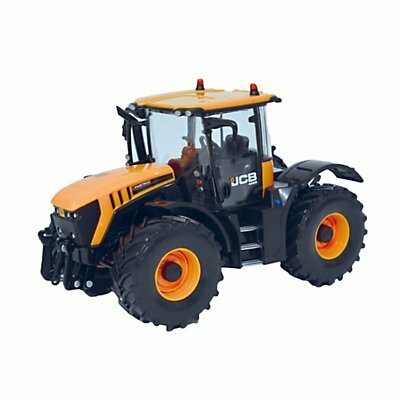 The Britains JCB 4220 Fastrac Tractor is the very latest in JCB styling, it boasts huge load carrying capability with supreme strength and stability. Big tread tyres and working steering wheel. Tow hitch is compatible with other 1:32 scale authentic replica die cast implements and machinery. The Britains JCB Hydradig is the first true wheeled excavator designed for purpose, from the ground up. 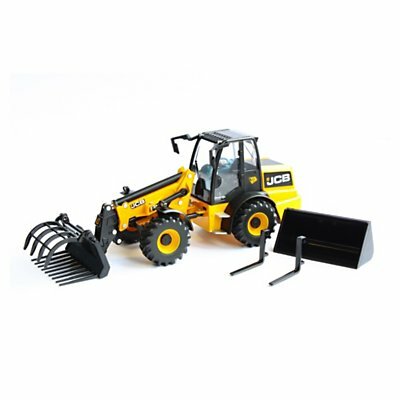 The 1:32 scale JCB Hydradig machine is the first for stability with 1000kg at maximum reach; manoeuvrability with just under 4m turning radius; mobility with stable 40kph roading; and serviceability with it’s rapid ground level servicing. 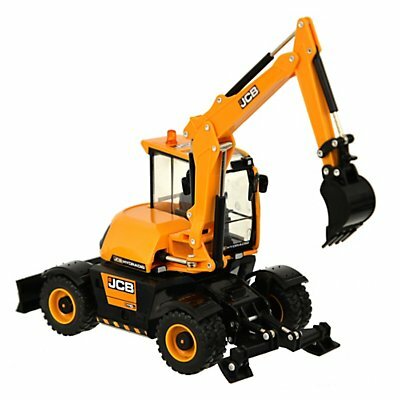 This is a detailed die cast model of the Britains JCB Midi Excavator 86C-1. 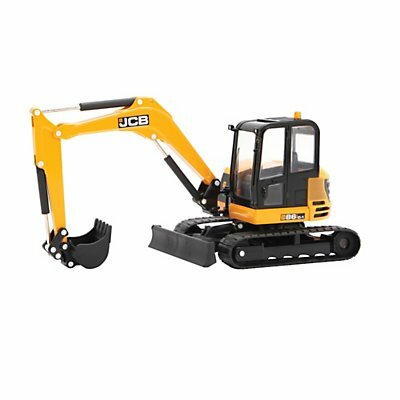 This model is the release of the new look JCB complete with a rotating cab, functioning arm with bucket and rubber tracks. An authentic 1:32 scale model replica, constructed from die cast metal and plastic and would make a welcome addition to any Britains collection. The Britains JCB TM 310S Loader features articulated steering, a telescopic arm that extends, raises and lowers to perform a variety of functions around the farm. 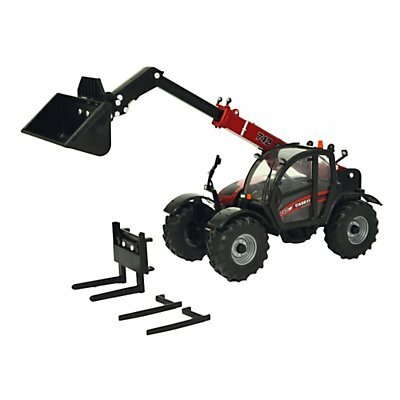 Included are several attachments including pallet forks, a bucket and a grab for digging and grabbing offering excellent play value. This model is compatible with other items in the Britains range. The Britains John Deere 7230R tractor will exceed your expectations for performance. It’s the ideal solution for a broad range of tillage, heavy draft or transport applications. Made of die cast metal and precision moulded and durable plastic, it is suitable for indoor and outdoor play. The Britains John Deere 8600 Self Propelled Forage Harvester includes two header attachments, one for grass and one for maize. The rear wheels steer and the tow bar is compatible with Britains 1:32 scale trailers.